It's amazing to think that the Thomas brand is still going strong and loved by boys and girls around the world. 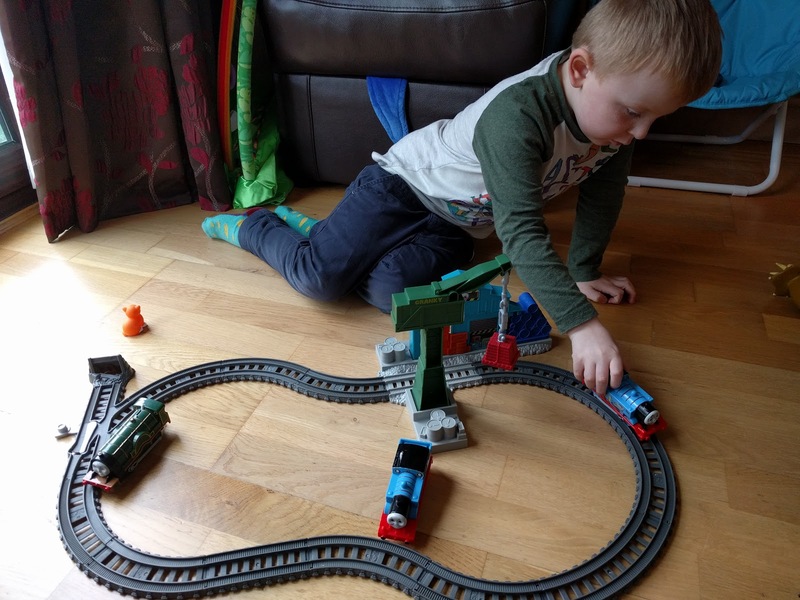 Elliot is typical of kids his age, train crazy and Thomas has been a constant in our lives since he was born! 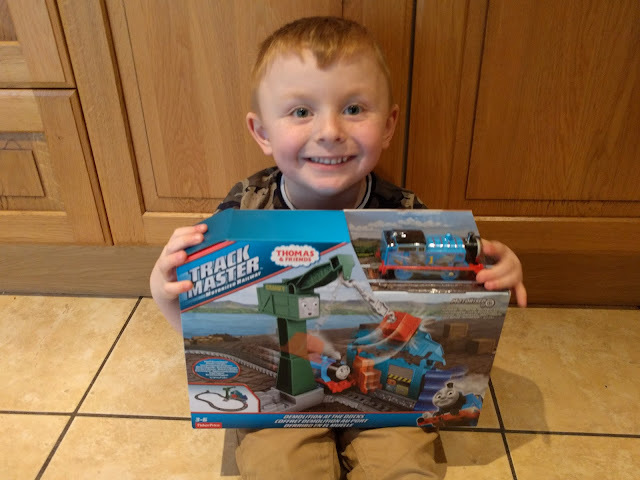 We were recently sent the Thomas and Friends Trackmaster Demolition at the Docks set and Elliot couldn't wait to check it out...in fact dinner had to be put on hold while I set it up for him! The track was very easy to put together, Elliot did need a bit of help initially to get the bits in the right order but the instructions were easy to follow. Once we'd popped some batteries in Thomas, it was time to go! 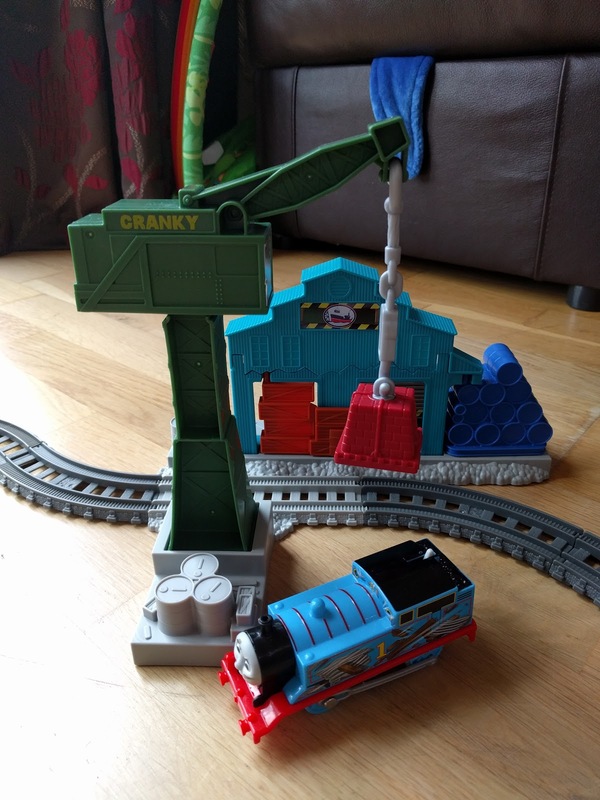 Elliot made sure the warehouse was in it's correct spot and then he swung the cargo on Cranky's hook to knock it down - all whilst Thomas was making his way around the track, getting closer and closer to the wreckage. But not to worry, Thomas just speeds right on through! 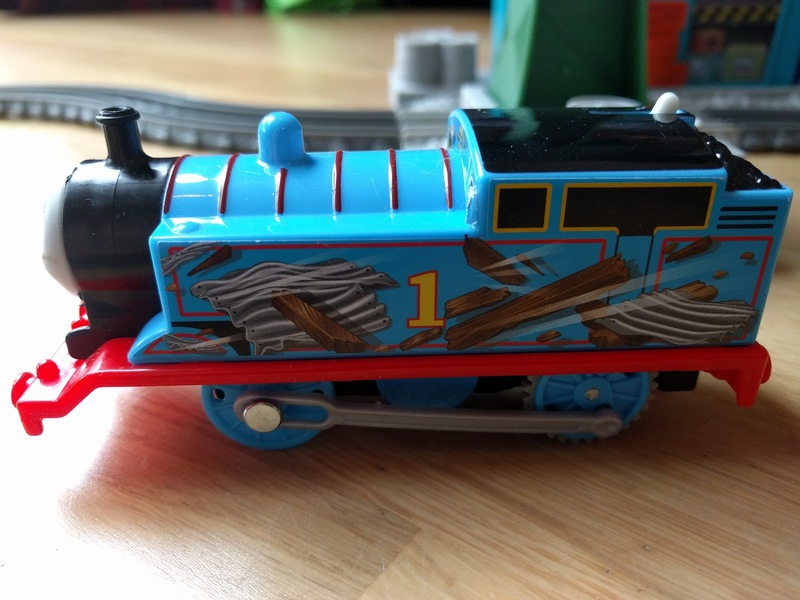 What I love about the Trackmaster sets are that they can all be connected up so this would be a great addition to any little train buffs collection. However I do think children might get a little bored of the repetition of this on it's own. It's very quick for Thomas to get around the track and through the wreckage once Cranky has knocked over the warehouse so it may only hold their attention for a short while.